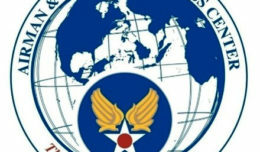 The Air Force Marathon has announced that they will be featuring not one but two aircraft on this year’s runners’ shirts and finisher’s medals. The event will feature both the F-22 Raptor and the P-51 Mustang. 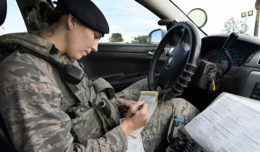 “With this year being the Air Force’s 70th Birthday, we wanted to not only celebrate the future, with a modern air frame but also the past with a heritage aircraft. We’re very excited to be featuring these two highly capable airplanes,” said race director, Rob Aguiar. Built jointly by Lockheed-Martin and Boeing, the F-22 entered the service in 2005. It boasts a combination of stealth, supercruise, maneuverability, and integrated avionics, coupled with improved supportability which represents an exponential leap in capability. Sporting two Pratt and Whitney F119-PW-100 turbofan engines with afterburners and two dimensional thrust vectoring nozzles, the Raptor can reach speeds of Mach 2 and has a range of 1,600 nautical miles with two external fuel tanks. The F-22, a critical component of the Global Strike Task Force, is designed to project air dominance, rapidly and at great distances and defeat threats attempting to deny access to our nation’s Air Force, Army, Navy and Marine Corps. The F-22 cannot be matched by any known or projected fighter aircraft. The P-51 Mustang is a long-range, single seat fighter and fighter-bomber used in World War II and Korea. Manufactured by North American Aviation, it first flew in October 1940. Powered by a Packard V-1650 “Merlin” 1,695 horsepower engine, the Mustang achieved speeds of up to 425 mph. Beginning in 1943, P-51B & C Models served as bomber escorts for raids over Germany while other models of the aircraft were used as fighter-bombers to help maintain air superiority. Ultimately the P-51 would serve in every theater of the war. Mustang pilots claim to have destroyed 4,950 enemy aircraft in World War II. 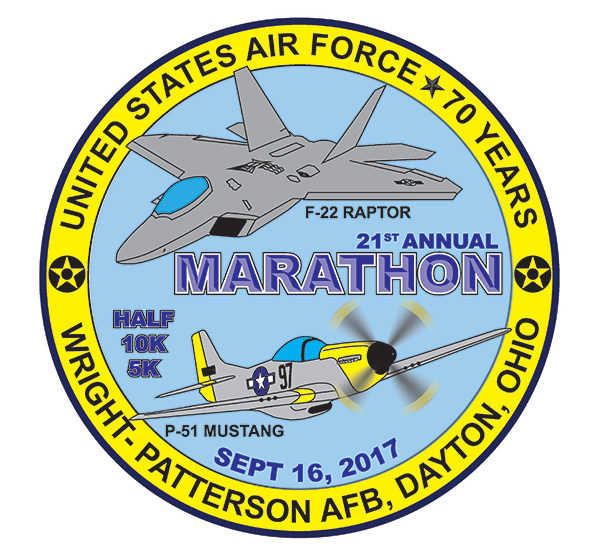 The 21st Air Force Marathon, presented by Northrop Grumman, USAA and Boeing, will be Sept. 16, 2017. The Sports & Fitness Expo is held at Wright State University’s Nutter Center and will be Sept. 14 and 15. The event will also feature a Gourmet Pasta Dinner and Breakfast of Champions Sept. 15. Registration opened Jan. 2, 2017. 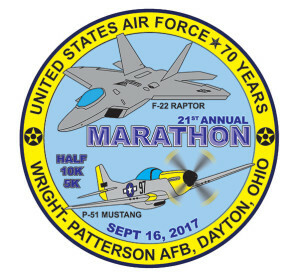 Visit www.usafmarathon.com for more information.